Miami, FL – June 14, 2018 (EmergingGrowth.com NewsWire) — EmergingGrowth.com, a leading independent small cap media portal with an extensive history of providing unparalleled content for the Emerging Growth markets and companies, reports on Creative DirectView Holdings, Inc. (OTC Pink: DIRV). 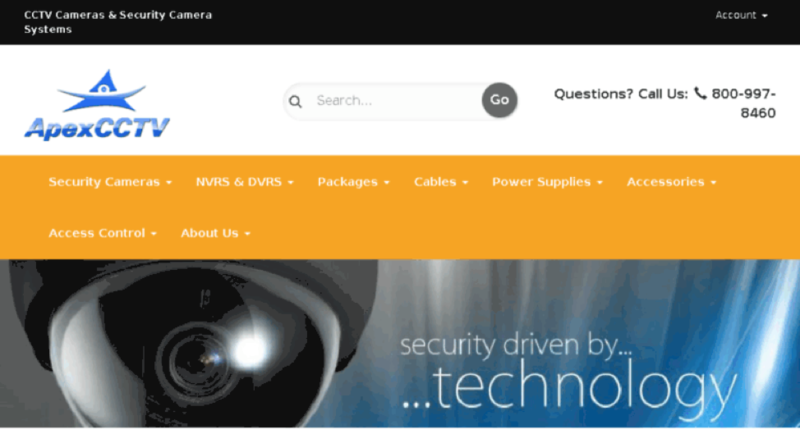 DirectView Holdings, Inc (DIRV) provides video surveillance solutions and teleconferencing products and services to businesses and organizations announced today that they are incorporating artificial intelligence into their video surveillance systems. This announcement comes a little over a week after they participated in the LD Micro Invitational. The show was just the start of 5 shareholder events that investors can anticipate in this summer. The remaining 4 events could include additional catalysts that such as more contracts/deals, positive quarterly financials, a website re-launch, and the up listing to the OTCQB. DirectView was one of 230 companies in the small-cap / micro-cap space which were allotted a 30-minute business presentation. This major event within the OTC world was to be attended by more than 1,000 individuals. The conference in general had record breaking attendance levels both this year and last year. Roger Ralston, DirectView’s CEO had a number of one-on-one meetings with investors. It was a great networking opportunity for the company. 2017’s Acquisitions contributing to year over year comparisons. On April 19th, the company posted a large year over year (YOY) increase in sales. The yearend financials showed an increase in sales from $461,000 to $2.9 million in revenue which represent a 531% increase in YOY. The majority of DIRV’s revenue boom can be attributed to the acquisitions of Virtual Surveillance, LLC and ApexCCTV, LLC., two Texas-based video security and surveillance companies. The integration of these two companies with its core business helped bolster DIRV’s financials. Gross profits increased to $1.3 million from $229,000 in 2016 which represents an increase of 450%. With news sales mounting, the next quarterly report should be due in mid-July. See press release here. DirectView had a solid 2017 financial performance, and 2018 is on pace to surpass those record-breaking stats. It’s projected that the video surveillance system market will reach a value of $43.8 billion by 2025. Advancements in cloud computing and artificial intelligence are some of the factors underpinning the growth. These factors are also driving growth at DirectView which has seen a substantial increase in orders this year. The surveillance systems of today are beginning to use AI technology to detect the behaviors that lead to crime like shoplifting, vandalism and terror attacks, all done in real-time. Park Avenue office towers– (announced May 1, 2018) Revenue realized by the Company from this contract is already hundreds of thousands of dollars. DIRV was chosen to design and implement a very comprehensive security and surveillance upgrade. The company feels there is a significant opportunity for all pre and post 9/11 security installation upgrades with in the New York City market place. O’niel Digital Solutions– (announced May 17, 2018) no dollar amount for this deal was disclosed, but DirectView’s technical service team will install new surveillance as well as upgrading existing equipment. Platinum Communications– (announced May 23, 2018) The orders (for hundreds of thousands of dollars’ worth of business) call for the design, installation and service of DirectView’s surveillance and security systems, including access control systems in a number of locations, including senior living facilities in the Texas region. DIRVcurrently working with the company to close more locations. NYSE traded, national retailerin commercial flooring and interior decorating – (announced June 4, 2018) secured orders amounting to over half a million dollars ($500,000+) and has already received payments of approximately a quarter million dollars. Mystery company will most likely appear (be revealed) in an upcoming Q filing. DIRV chose to get this info out to shareholders ASAP rather than hold it for potentially days, weeks or months, waiting to have the household named company’s legal department sign off on the press release. 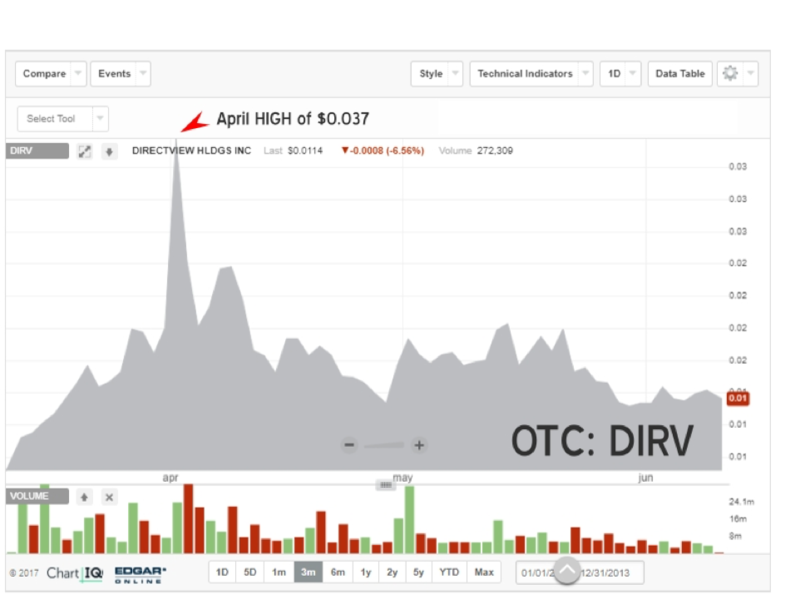 While the deal is “big news” for DIRV, the national retailer most likely opted to stay anonymous. On June 4th, DIRVsubmitted what they hope are the “final requirements” to successfully up list in which they hope to announce in the very near future. DirectView has maintained one of the major qualifications by trading above $0.01/share for few months now. In late April the company first registered with OTCMarkets to uplist to the OTCQB Venture Markets. OTC companies seek the “QB” status as they feel it grants them greater visibility to the investment community. The ApexCCTV website will soon be getting a “facelift” as the company values the importance of keeping up with the latest online design looks and functionality. The site generated nearly $10 million in sales for them since its inception and $2.9 million in 2017 alone. The redesigned website will enable DIRVto unlock additional growth potential by providing an interactive experience paired with in-depth product information while being fully SEO optimized. The company is confident that they can expand their site which will enable them to unlock additional growth potential by providing an interactive experience with in-depth product information that is fully SEO optimized. They are confident that they can expand their customer base, attract new product suppliers and ultimately grow revenues. DirectView investors have so much to look forward to in the coming summer months including: QB uplisting, more contracts, quarterly results due in July, and of course the site relaunch this summer. In regard to contracts, it’s important to note that the company has secured deals in a wide array of business sectors such as cannabis, retail, commercial from coast to coast. Successful completion of each of these individual events should keep the message boards buzzing and investors with a direct view on the share price. Near term, financials should continue to show major increases YOY. DirectView management believes 2018 will shatter company records. As previously reported in 10-Q filing, DirectView saw year/year sales growth of 1,689% for the three months ended September 30th, 2017. The uplisting should garner them improved visibility within the investment community. An updated website, due anytime, shall only give the company a more up-to-date look, which in turn will attract and secure additional sales with its informative, visually enhanced and mobile friendly platform. Sometimes a story is just simply about the catalysts. There is a lot of press and awareness coming up and the story itself is fundamental in nature. What investors have to look forward to is continued growth in a sector that is growing exponentially. The marketplace is ripe with offerings and DIRV seems to be capturing sales. As it grows sales the overhead costs will no long drag on profitability. This could even be considered a roll up play with 2 successful acquisitions under DIRV’s belt, the next one might really push sales and earnings growth. If the market cap goes up and makes acquisitions easier the company will use its currency to buy more business. The short and long term catalysts intersect at this point and DIRV look undervalued at these levels. The company is solidly positioned on a fundamental basis but the technicals look good as well. Not only is the current share price at a deep “discount“ of nearly 70% from those highs, but re-attaining those price levels or even those of its 0.05 52 Week High could score investors a healthy 300-500% return.